Kamasi Washington - Heaven and Earth. Vinyl LP, CD. Bleep. Kamasi Washington's wide-reaching double album Heaven & Earth arrives on Young Turks. 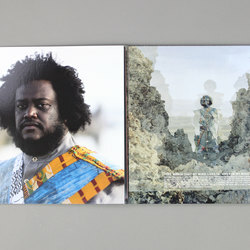 Much like his previous releases, Heaven & Earth once again finds Kamasi setting out to expand the minds and horizons of all who encounter his music. Recorded as a double album, this expanded canvas gives his trademark tones the opportunity to offer a wider than ever before selection of fully immersive, freestyling psychedelic jazz that carries a distinctly spiritual edge. 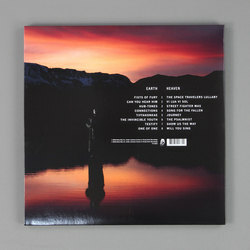 In an instant, Heaven and Earth really burrows deeper into the external cosmos that we were left circling around the edge of with his debut long-player, The Epic (released in 2015 via Flying Lotus's Brainfeeder label), yet it also carries us further into the distance of the deeply cinematic overtones that his debut Young Turks EP, Harmony of Difference pointed us in the direction of. 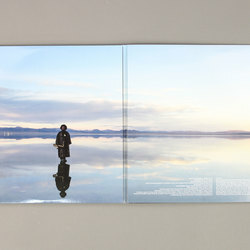 While it is both instantly recognisable as a Kamasi Washington recording, Heaven and Earth's luxurious running time matched with a searching narrative sees Kamasi breaking out of any sounds or scenes he may be associated with, smoothly transcending into new, dynamic and sonically experimental levels and counterpoints of his now widely praised signature sound. Stretching out at two and a half hours of entirely newly recorded music, Kamasi Washington paints a vision of Heaven and Earth that is spread across two sections with eight movements apiece. It sees him wrestling with and attempting to make sense of the meaning of both Heaven and Earth within his mind and his place within the wider universe as a whole, with the Heaven side representing the world Kamasi sees inwardly, the world that is a part of him, while the Earth side represents the world he sees outwardly, the world that he is a part of. An existential experiment with saxophones that's set to take you on a journey that is as widely thrilling as it is deeply searching.